The Oscars are nearing, and the Academy just announced the artists gracing the stage to perform the Best Original Song nominees. 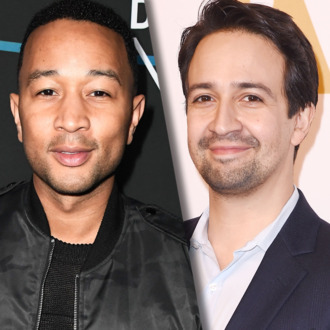 Lin-Manuel Miranda, Sting, Justin Timberlake, and John Legend will all perform the Oscar-nominated tracks. Basically, Ryan Gosling and Emma Stone can exhale: The La La Land leads won’t have to sing “City of Stars” on the Oscars stage. Legend, who won an Oscar with Common in 2014 for his Selma song “Glory,” will do both “City of Stars” and “Audition (The Fools Who Dream).” Miranda will do his Moana song “How Far I’ll Go,” Sting will perform “The Empty Chair” from Jim: The James Foley Story, and Timberlake will do that one song from Trolls that no one can escape hearing (also known as “Can’t Stop the Feeling”).